Our attention is pulled in a lot of different directions; and that is especially true in our busy seasons. Finding time to talk to your family about the future of the farm may be difficult. You also may be uncomfortable with the thought of selling your farm or handing over control to family members. Just as you plan every spring so that your farm can have a successful year; you should consider planning long-term so your farm can be successful for years to come. Developing a solid transition plan for your farming business will help ensure that your family’s wishes are met, and emotional stress is minimized. Transition planning is different from estate planning. Estate planning is concentrated on tax liabilities and ways to lessen your tax burden. Succession plans have a broader focus and that is on planning for the future of the farm. Estate planning can be just a piece of a larger succession planning effort. At retirement a farm succession plan can include many things. 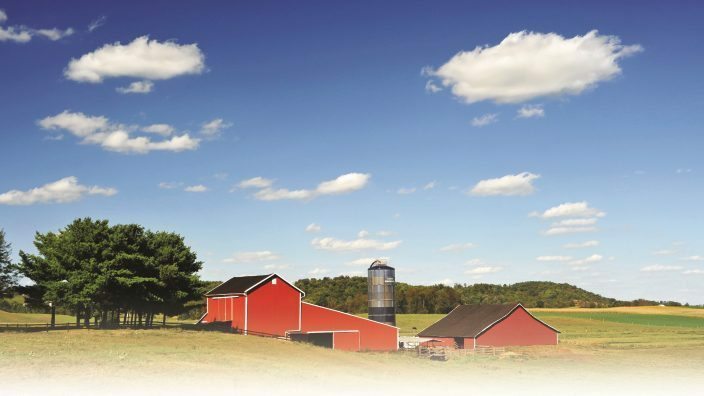 This can include an arrangement to sell or transfer ownership to a family member, and a plan to liquidate farm assets like equipment, livestock or land at auction. A transition plan may also include other options for your land like renting or leasing. You can plan for your desired result. By concentrating on the desired outcome you can feel comfortable and confident in the plan to achieve that outcome. The proper transition plan puts you in control now of the decisions that may be needed in the future. You can plan for your own retirement by deciding what involvement you’d like to continue to have and what income you may need as your retirement age nears. You can also gain assurance that the needs of your spouse, your children and your farm are considered down the line. An effective transition plan is able to identify the next generation of operator. If you have a family member who could and may want to take over the operation, you should be comfortable that they have the knowledge and skills to run it profitably. If it’s being passed down to children, you may ask yourself if they all have an interest in having an active role; and if not, how should they be considered. Getting it right the first time. Succession plans sometimes fail because certain risks were not considered during the planning stages. These can include inadequate cash flow, liquidation of some assets to provide for retirement, poor farm estate planning and unresolved issues between family members or a successor who’s not prepared to lead and manage the farm business. It’s important to enlist the help of qualified professionals who don’t have a stake in the final decisions. They can help you make sound, unbiased decisions for your farm estate. Qualified professionals may include your banker, your accountant, your personal attorney or a financial or estate planner who specializes in farm estate planning. If you have questions about transition planning or would like help in finding a qualified professional to speak with, contact the Nationwide Land As Your Legacy team via email, or toll-free at 855-529-2729.